My name is Yosefa Huber (יוספה הובר). 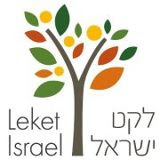 I moved to Israel from Florida in January 2010. I live in a very normal city in central Israel with my five children, husband, and dog. I'm a Certified Public Accountant (CPA) with a background in art and design. When I'm not experimenting in the kitchen, I advise Americans in throughout Israel on their US taxes. I have been keeping kosher for 17 years. In the last few years, I have been focusing on healthy, environmentally friendly, and economical cooking, and have recently begun fermenting. I consider myself a very intuitive cook. Instead of using recipes, I see what's in my fridge and smell my spices. I take pride in my creative use of leftovers. In my spare time, I like watching "Good Eats" on YouTube with my 6 year old son, who always asks me, "Tell me the story of how you made this." I hope to inspire you to cook creatively and trust your gustatory instincts. 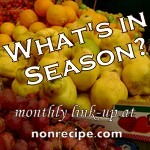 For more personal information check out Non-recipes: A Retrospective, or read my interview on CookingManager.com. You can also e-mail me if you would like to discuss a topic for a guest post. (However, you must have some expertise in an area that might interest me or my readers. I will not accept posts for the sake of backlinks.) Let's share ideas and learn from each other's talents and specialties!